During the Summer of 2011 Approach Mobile was introduced to Cinelease Inc. during a period where they were undergoing an industry merger with notable giant, Hertz rental. This new initiative raised the immediate need for a mobile solution to accompany their already existing product line and services. 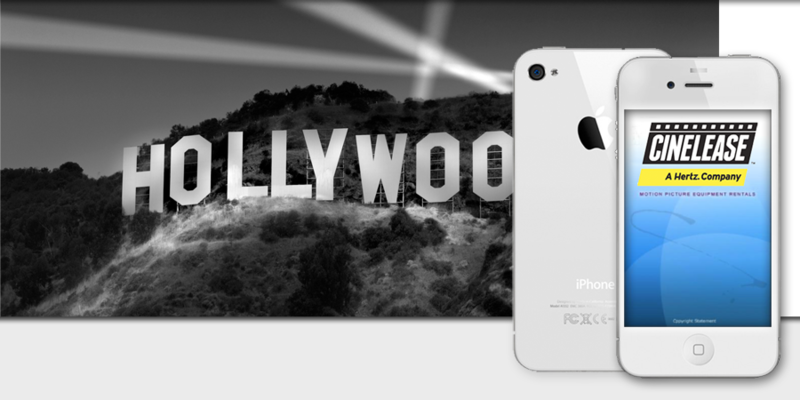 This is where our expertise came into play, we were given the task of developing an industry breaking mobile application that would revolutionize the way Hollywood production companies conducted their everyday business affairs! Since Cinelease already had a large existing database of popular production products that important clients like Paramount and Universal loved, we knew that we had to incorporate the same exact catalogue into the application and ensure it was streamlined enough and easy enough to navigate and use so that the customers of Cinelease could conduct their job orders in an enjoyable fashion all possible from the comfort of their own home or office. Our wonderful mobile engineers crafted a stunning native iOS iPhone application powered by a powerful robust web-based CMS platform that allowed Cinelease to make quick rapid changes to their app and the products listed within it. On top of all that, we migrated all of Cinelease’s existing products right into the application so the customers of Cinelease could order and access all the products they loved and were familiar with for the past 30 years!